After installing Magento for the first time, it’s easy to get a little lost with everything that comes next. Installation was only the first step. Now it’s time to get your website ready to go live by adjusting it settings, establishing its design, and finding any extensions it may require. Rest assured that you’ve made a good choice. Magento is one of the most popular eCommerce platforms in the world, coming second only to WooCommerce— a plugin that enables WordPress to act as an eCommerce platform. But Magento shines in many areas over its competition as it is a dedicated eCommerce platform that’s packed with all the tools required to run an effective online business directly after installation. This means Magento doesn’t include the hassles of turning a blogging WordPress website into a functional webstore, is more intuitively designed for eCommerce purposes, and is a feature-loaded powerhouse when it comes to its online selling capabilities. All in all, Magento performs incredibly well and is very simple to use after installation compared to most eCommerce platforms. To get your own webstore up and running, complete these 5 necessary steps. After installing Magento, an early step is entering the basic information for your website. Navigate to the Stores tab on the Admin sidebar of your Magento dashboard. From there, navigate through Settings > Configuration and then choose General from the left panel. 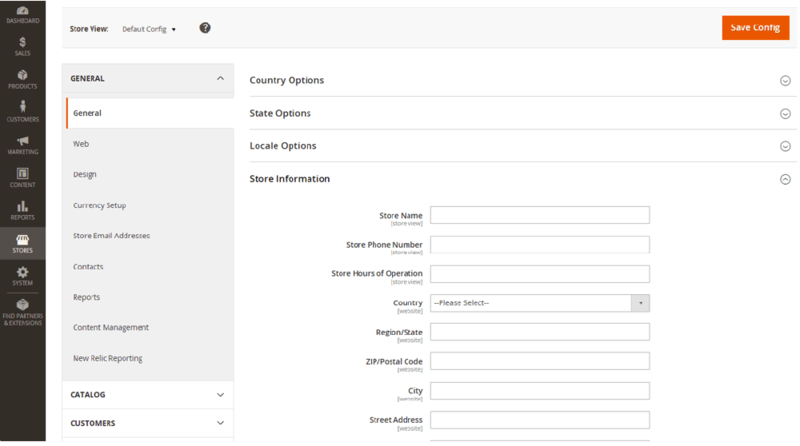 From there you’ll see sections for Country Options, State Options, Locale Options, and Store Information. These sections cover everything from the name of your business, the region and language it operates in, the currency it uses, its legal address, and more. Not only is this information important for legal compliance and for customers to better understand your business, it’ll also appear on any emails or other messages that are sent from your website. Appearance is one of the most impactful qualities of a website. On that note, it goes without saying that online businesses perform better when they appeal visually to visiting customers. To upload your own logo, first select Content on the Admin sidebar. Next, go to Design and select Configuration. Now you should find yourself on the Design Configuration page. Choose the Edit option that corresponds to your website, and then expand the Header bar to upload a logo. Themes have the biggest effect on a Magento website’s design and appearance. Magento themes affect everything from your store’s visuals and background, user-interface and site navigation for both desktops and mobile devices, and even the functionality of checkout processes. To find one, browse the Magento marketplace or search among the many third-party developers who release their own Magento themes. When installed, Magento extensions will bring new features to your website that the platform does not already offer. This includes anything from enabling new customer interactions like alternative payment options, to introducing entirely new tracking and analysis capabilities. Like themes, extensions are created by both Magento’s inhouse developers and third-party developers. Take some time to think about the needs of your webstore and consider whether extensions are required for it to operate as desired. It’s a good idea to browse for extensions that enhance your webstore’s current functions as well. The security of a website is paramount. This is especially true when containing an eCommerce business. If unprotected, your website will be vulnerable to malicious attacks that could compromise your business, and cost you a serious amount in damages. Not to mention the risks and repercussions of intercepted customer data. Because of this, it is imperative that store owners take precautions such as maintaining strong password practices, and keeping their store updated to the latest version of Magento. To reinforce your admin login security and enable stronger password protection, navigate through the tabs Stores > Settings > Configuration. From there, look to the left panel and select Advanced > Admin. Expand the section labeled Security and you’ll be able to configure the parameters of your login security. But steps like this only scratch the surface when it comes to the effective ways you can defend your website. 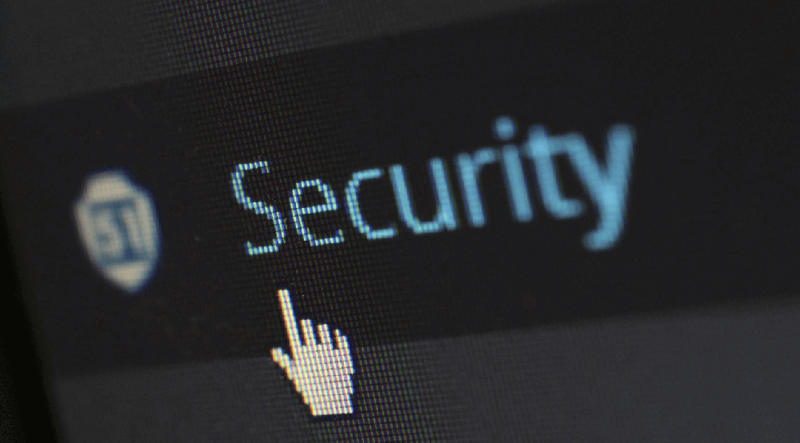 For a deeper look into how to protect your Magento webstore, see our brief guide. After installing Magento you will already meet a range of security and privacy requirements for online sellers. However, it is still mandatory that merchants inform themselves and abide by the online selling laws of their location. Industry guidelines vary, so take time to research what your website requires to maintain compliance before bringing it live. For an overview on staying within industry compliance while using Magento, here’s a resource they offer on the subject. Complete these steps to setup your webstore, and you’ll be well on your way to making your first online sales. 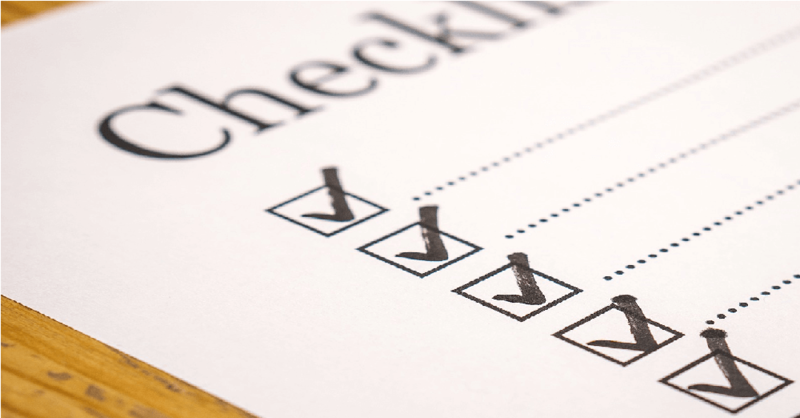 For additional resources on what to do after installing Magento, you can also check out the comprehensive Getting Started Guide they offer for their current version. Lastly, if you need additional assistance setting up your webstore, feel free to look over our services for Magento that include performance services, consulting, and hourly support for your webstore.